Please join us for no-cost breastfeeding help and support on Wednesdays from 6-8pm. An IBCLC will be available to assist you with your questions and concerns. Our highly-trained IBCLC and lactation counselor staff are ready to support your needs and educate you with evidence-based information and practical suggestions to help you meet or exceed your infant feeding goals. Whether you are thinking about conceiving, pregnant at this time, or have already given birth, we welcome you to attend a drop-in session to learn more about how breastfeeding works and why it is important for the health of both the birth parent and their child. No appointment is necessary and there is no cost to attend. Parents and their support persons of choice are always welcome. 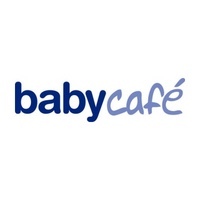 Light refreshments are also available at a Baby Café drop- in session. We hope to meet you and your baby soon! Support Baby Café Bakersfield - Attend Celebrate CVLA on October 7!